Macy's is a sponsor of educational programming at the Boys & Girls Club of Venice. 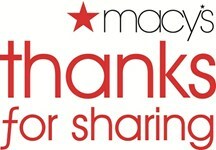 The annual "Thanks for Caring" campaign is supported by the customers at the Macy's stores at Westfield Culver City and the Westside Pavilion. Educational programs at the club include Power Hour, tutoring, Torch Club and Tomorrow's Leaders. Toyota Financial Services is the finance and insurance brand for Toyota in the United States, offering retail auto financing and leasing through Toyota Motor Credit Corporation (TMCC) and extended service contracts through Toyota Motor Insurance Services (TMIS). Lexus Financial Services is the brand for financial products for Lexus dealers and customers. TFS currently employs over 3,300 associates nationwide, and has managed assets totaling over $80 billion. At DIRECTV, they recognize that they have a responsibility to their customers, their employees and the communities where they do business. They believe in being a good corporate citizen and championing socially responsible business practices to ensure that they are the kind of organization their communities are proud to call a welcome neighbor. DIRECTV is the world's largest pay TV provider delivering the premier video experience through state-of-the-art technology, unmatched programming and industry-leading customer service to more than 29.4 million customers in the U.S. and Latin America. ​Bank of America is a corporate partner of the Boys & Girls Clubs of America as Clubs work to provide impactful programs for youth. There are nearly 120 Boys & Girls Clubs sites in LA County managed by 27 separate Club organizations. The Clubs three primary focus points is to ensure Club members graduate from high school, live a healthy lifestyle and build a life of community engagement and service. Westfield Culver City is owned by the Westfield Group (ASX: WDC), an internally managed, vertically integrated shopping center group undertaking ownership, development, design, construction, funds/asset management, property management, leasing and marketing activities and employing in excess of 4,000 staff worldwide. As growing business leaders, Team TAG gives back to Los Angeles by mentoring and developing its urban youth. Team TAG strives to attain true leadership roles and be the best examples for others to emulate. Their team serve, lead and coach the youth at the Boys & Girls Club of Venice to fulfill their maximum potential.